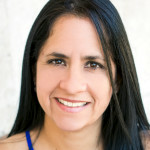 Mirella Caro-Cortes's answer to I think my daughter is stressing too much. Sadly, kids nowadays stress a lot about school and compete with one and another. Determine Career-minded students, tend to be very hard on themselves and can eventually become very anxious about things. Whereas, it is a good thing to be driven it can break you down too. Therefore, I recommend that you find your young daughter someone that can help her find ways to cope with her strong desire to doing well in school. Getting ahead of it now before she gets worst is the best thing you could do for her. Best of luck to you and your daughter.